Since we don’t (yet) have a physical campus, we don’t yet have an actual P.E. uniform, but for now, this will definitely do. It’s from Kansas Originals, who have lots of locally made crafts and goodies, including Wizard of Oz themed items. So if you want something to show your community spirit while working out or hanging out, click here to buy a t-shirt. They have sizes small to 3X. 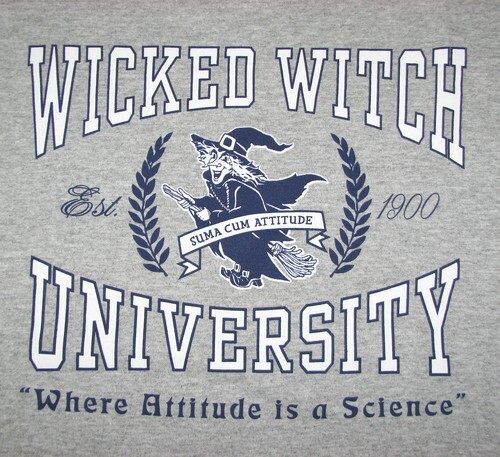 They also have other Wicked Witch of the West and Oz items that are cute, funny and useful. 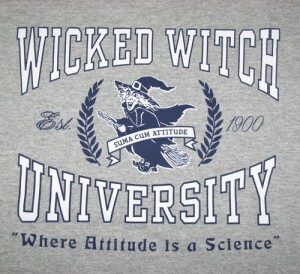 favorite, oz, t-shirt, tshirt, wicked witch of the west, wicked witch t-shirt, wicked witch university, wwu. Bookmark.